Hi everyone! This is GiGi from The Cricut Bug and I am sharing this Pumpkin Spice K-Cup Holder I made. 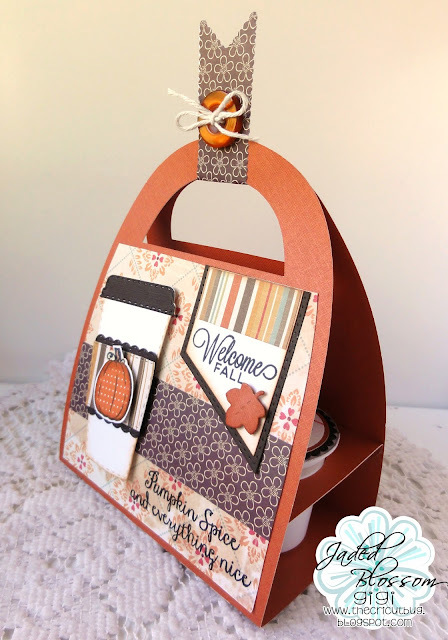 I started this project with the K-Cup Holder from Pretty Paper Pretty Ribbons and cut it out with my Cameo. I added a front may layer and strip of decorative paper to the front. 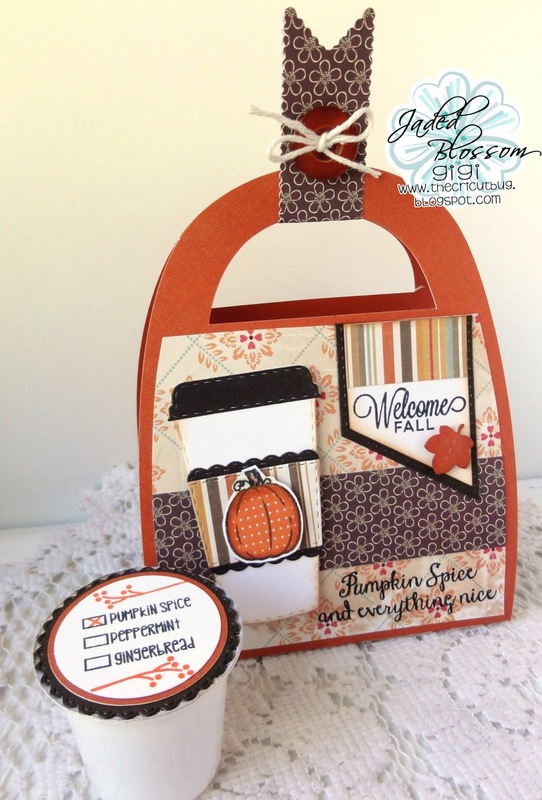 I cut the coffee cup from the Coffee Dies and stamped the pumpkin from the Pumpkins stamp set. 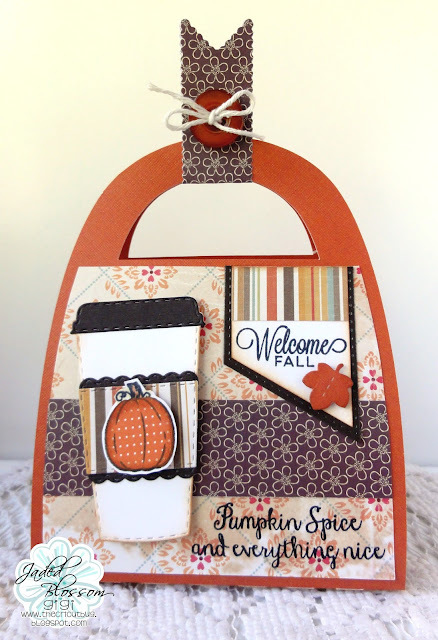 I cut the banner using the Card Layer Dies 2 and stamped the sentiment using the Happy Fall stamp set. I added the leaf that I cut from the Fall Banner Dies. 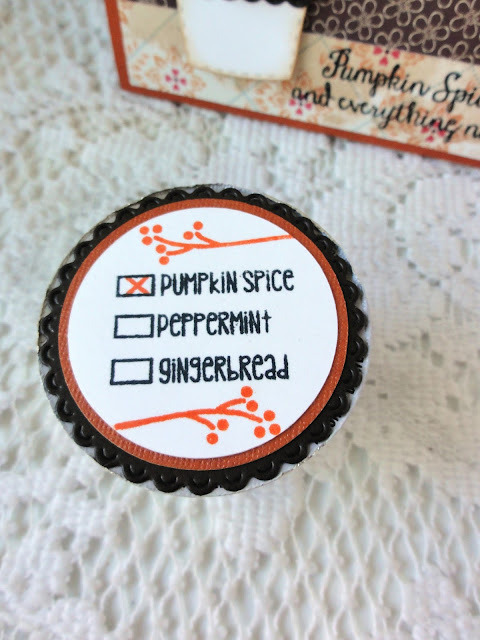 I stamped the sentiment onto the bottom and the coffee list onto K-cups using the Happy Brew Year and mounted cut circles onto a Scallop Circle Die, before adding them to the tops of the coffee pods. To finish, I cut the flag on the handle using the Flag Dies 2 and added a button with twine bow. Super cute. Thanks for the idea. This is just so darn cool!!! Love it!! Absolutely LOVE this so much!